Parents, Relative and Other supporting Down's. PROUD’s annual Christmas Party takes place on Saturday 3rd December at St Thomas’ Church, St Thomas’ Close, Aldridge. The part starts at 11am and runs until approx 1pm. If you would like to attend, please email proudwalsall@gmail.com for more info. The PROUD 2011 AGM will take place on Tuesday 18th October from 10:30am at Aldridge Fire Station. For more information, please contact PROUD. PROUD meets tomorrow for the final time before our summer break. Join us at Leighswood Children’s Centre in Aldridge from 2pm-4pm. Tomorrow sees the PROUD Summer Trip 2011 take place at Twycross Zoo! PROUD will pay for 2 adults, a child with Down’s and their siblings. We will be meeting at 11am outside the main entrance. 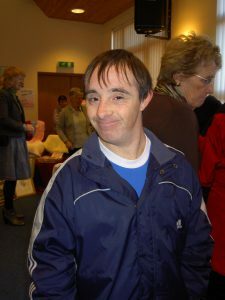 Logan communications are coming to talk and demonstrate some communication systems that they have to help children with down’s syndrome to communicate and help with speech. Parent Partnership Services will also be on hand to answer any questions regarding your educational needs. If you do want to come to the christmas party, please can you email jo@proudwalsall.org so we know for catering purposes and most importantly that Santa knows as he brings the presents!!! and we’d hate for children to come and be disappointed that santa forgot their present!! !